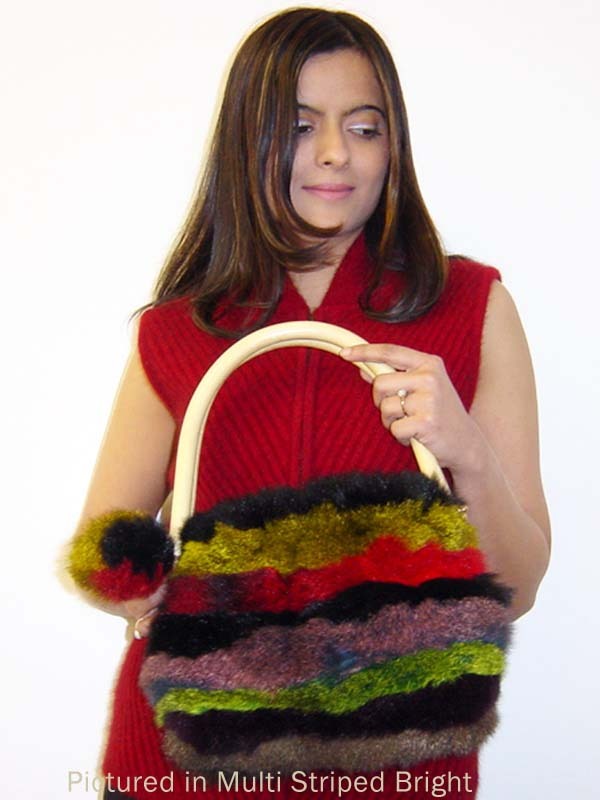 The Possum Pompom bag is a funky hold-all with striped Possum fur front and back. 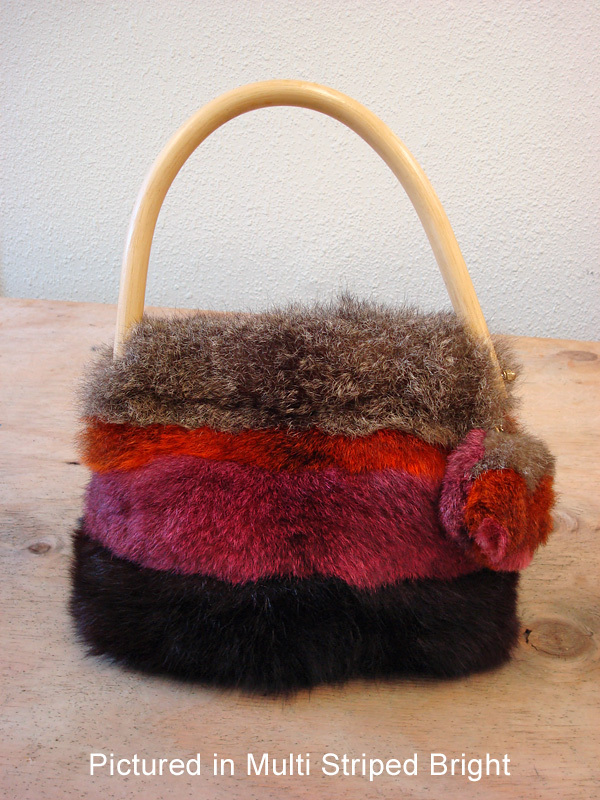 It features cane handles and a fluffy pompom attached with a gold chain. You can choose from bright and subdued stripes. 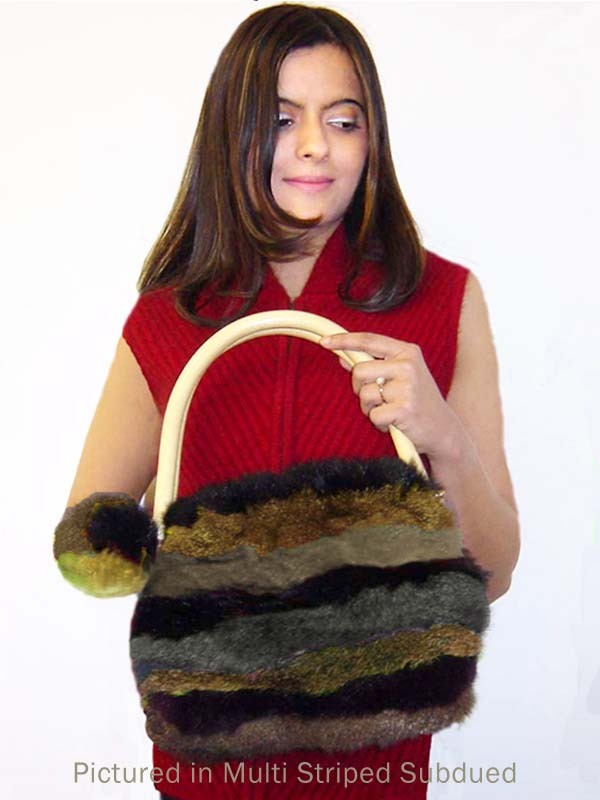 The cane handles are handmade in New Zealand and are available in natural or black finish (coordinated with your fur color). It features polyester satin lining with a pocket and a magnetic dome closure. Coordinate it with the Harlequin striped scarf.